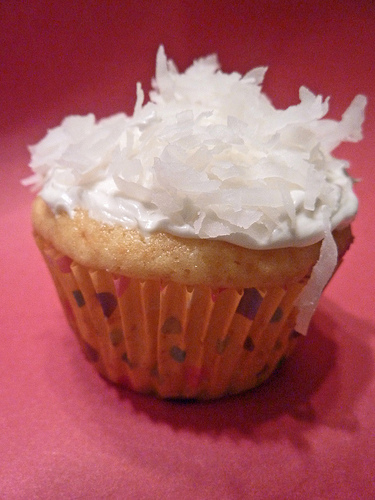 If you like piña coladas (in a cupcake…) | write meg! Riding high on the success of my Key Lime Cupcakes this summer, I tried my hand at a piña colada variety the other night. We were belatedly celebrating the birthday of Eric, my sister’s boyfriend, and I was going to whip up cupcakes based on this mojito cake recipe . . . but decided that coconut, pineapple and rum would be more universally appealing. And they were — kind of. Turns out we have some non-coconut lovers in our midst (imagine!). No matter, though; these cupcakes were delicious, light and fruity — and there was no overpowering coconut taste to speak of, at least on the ones topped with just vanilla frosting. 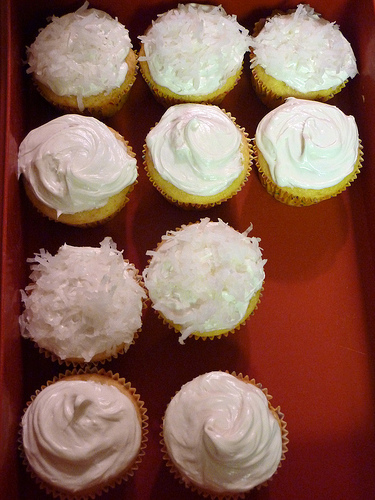 The rest got the full treatment, which meant lots of shredded coconut on top. Making these was really simple and fun, and I enjoy the light texture and pineapple taste of the cake. They can’t beat the key lime, though, in terms of my favorite summer desserts! I’d make these again, though. Definitely. Check out the recipe on BettyCrocker.com, my new favorite destination for, um, everything. I made a casserole based on their creations, too, and that was pretty good. But I didn’t bake it long enough and it was . . . soupy. Like chili. But hey, I’m learning. And making progress. And fattening up everyone around me. 1. Heat oven to 375°F (350°F for dark or nonstick pan). Place paper baking cup in each of 24 regular-size muffin cups. In large bowl, beat cake mix, oil, water, 1 teaspoon rum extract, the pineapple and eggs with electric mixer on low speed 30 seconds. Beat on medium speed 2 minutes, scraping bowl occasionally. Divide batter evenly among muffin cups. 3. Stir coconut extract and 1 teaspoon rum extract into frosting. Spread frosting on cupcakes. Dip tops of frosted cupcakes in coconut. Store loosely covered at room temperature. Those sound soooo yummy. I’m not a huge coconut fan, but I can pick that off. And I think your casserole looked pretty yummy too. Soupy is good! These look delicious. People seem to either love or hate coconut. I’m one of the coconut lovers :-). Yeah, I have to say I’d vastly prefer mojito cupcakes to anything with coconut, ick. Ohh! These sound amazing. Thanks for sharing the recipe. I love coconut! I love coconut. And these look delicious. Thanks for the recipe. I’m not a fan of coconut, so I’d leave that off – otherwise the cupcakes sound delicious! I hate hate hate coconut, but mojitos on the other hand… I’ll take those! And even if I would hate these, they came out very pretty! I’m not sure I could trust someone who doesn’t like coconut! Delicious! These are a great idea. i love coconut even though the texture is a bit freaky. 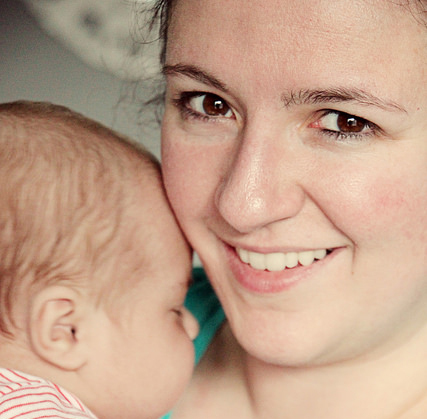 glad to see that you’re still baking away–you’ll be a chef in no time. great pics–the cupcakes look scrumptious. Sounds like you are enjoying these baking experiments. Made these yesterday, only substituted a 3 teaspoons of real rum for the rum extract in the batter and 2 in the frosting. Deliciousness! Thanks for posting! Glad they turned out well for you — that’s awesome!